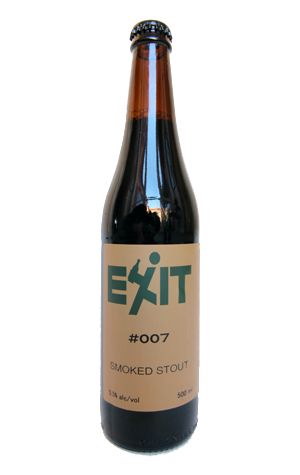 Having first dabbled in the world of smoke with their second commercial release, the come-and-have-a-go-if-you-think-you're-'ard-enough, 7.5 percent ABV Scotch Ale – a beer that just kept piling on more and more layers of malt – Exit revisited it with this Smoked Stout. That said, while it's an occasion in which they indulged their love of smoked and peated malts, there's plenty more going on within its dark brown body. Indeed, so struck were we by the distinct US hop aromas we picked up on first sniff (the bottle was delivered fresh as) that we sent a text to Frase to check the salted caramel candy bananas we'd just scoffed hadn't sent the olfactory system, well, bananas. Turns out it takes more than fancy sugary treats to send the Crafty palate haywire these days as there was indeed some Columbus and Chinook in there adding a fruitiness. 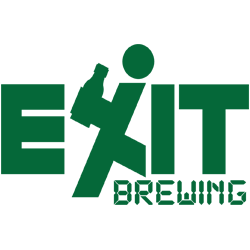 That said, said hops are but one component in a multilayered little number that also offers up chocolate, caramel and a roasty finish, with the impact of the smoked and peated malts more restrained than its name might suggest.